Global Lock and Key is an industry leader in locksmith and security in Southern California. Armed with all the latest lock and security procedures, we don’t just unlock your door and make keys, we provide our customers with a full service security installations, lock innovations that give you confidence in knowing your needs will be met, fast! We are centrally located in the Los Angeles area so that we can quickly dispatch our mobile teams as well as our licensed and bonded technicians to service your every lock and security issue. We have competitive prices and have plans to fit every budget. 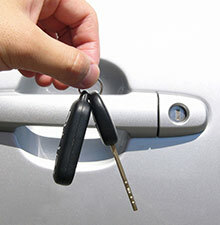 When you hear the term locksmith, you immediately think of lockouts or needing a new key made. Our licensed locksmiths at Global Lock and Key can do so much more!!! We perform residential and commercial lock and security services as well as emergency locksmith calls and onsite locksmith services in and around Woodland Hills, Reseda, Northridge, Sherman Oaks, Simi Valley, Thousand Oaks, Encino, Calabasas, Tarzana. We can help you establish a state-of-the-art security system in your home or business, set up a master key lock system and even help you install safes! Our mobile team is on the move and ready to help at any moment. Whether you are locked out of your car at the store or out of your home in the middle of then night, Global Lock and Key can be there quickly and fully prepared for any situation. Preventing problems before they happen is something everyone strives for. Let Global Lock and Key show you security systems and lock mechanisms that will keep you and your property safe. It is our main objective to deliver fast, efficient, high quality service to our customers. Your satisfaction is guaranteed! Being a reliable locksmith, working only with skilled and licensed professionals we have earned a very strong reputation in major areas like Simi Valley, Sherman Oaks, Thousand Oaks, Tarzana, Reseda, Woodland Hills, Northridge, Encino, Calabasas and nearby areas in southern california. Call us today at 866-917-3539 and our professional locksmith will help you your way. "I needed my locks changed in my rental unit.I called Global Lock and Key, he showed up on time, did a GREAT job! My front door had some settling, he even fixed that so know my front door opens more ease. He didn't even charge extra! His prices are great and he was able to quote me over phone, so no bait and switch here.I recommend calling Global Lock and Key for all your lock needs!"